The Life Plan. Out Now. This book is for your life strategy, to help you get back to your foundations. It is about integrating into your everyday life the things that most people only discover when they hit rock bottom. It is about taking things one day at a time so you can start forming habits that become a way of life and giving each moment the potential to take you closer to the way you want to live. It is your personal life coach. It is a place to plan, visualise, reflect and prioritise. It is a place to start, simplify and succeed. A place for the fundamental work to be done. It is a practical guide to effective life planning. 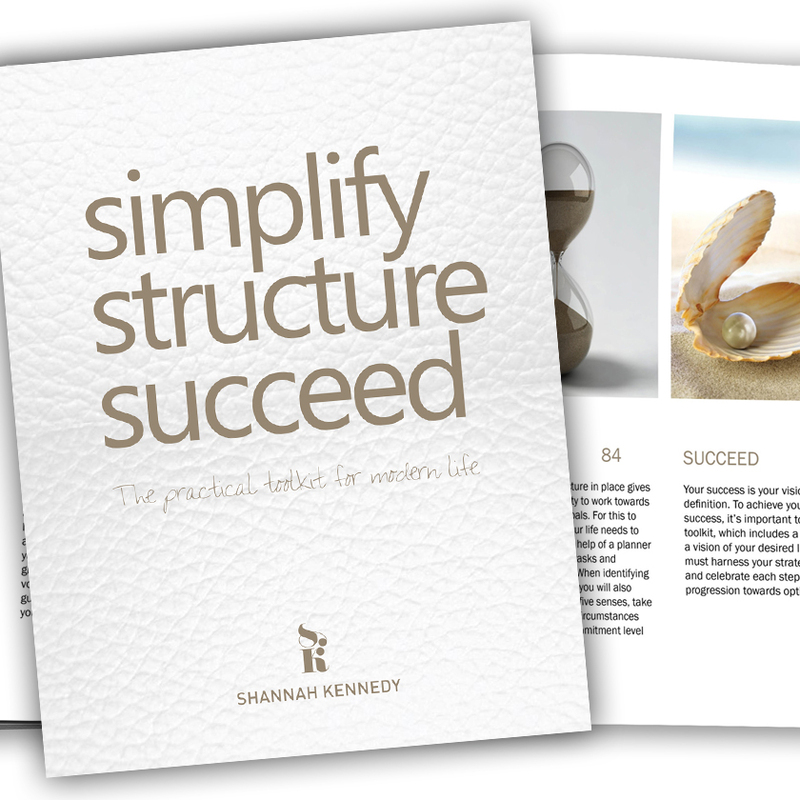 Simplify Structure Succeed looks into practical tools, tips, templates and case studies to allow you to develop your life strategy for optimal living in a modern, fast paced world. Finding balance in your life is such an important part of living happy and healthy. I am delighted to have collaborated with Shannah Kennedy to produce a Limited Edition kikki.K copy of this book. 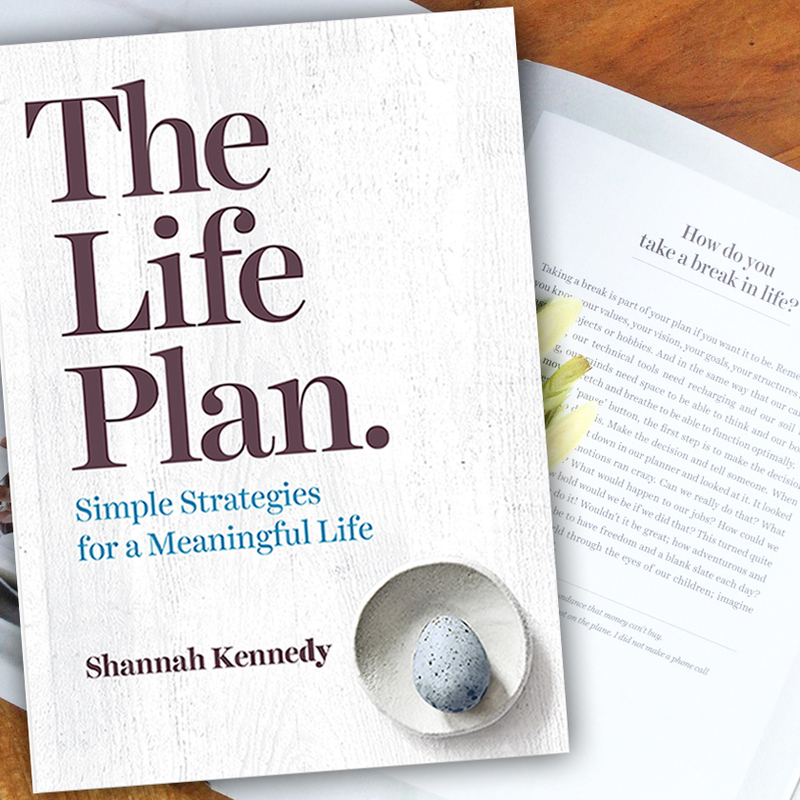 We hope that with Shannah’s inspiring words and our gorgeous kikki.K designs, we help inspire you throughout your discovery of self, as you learn to simplify structure and succeed. 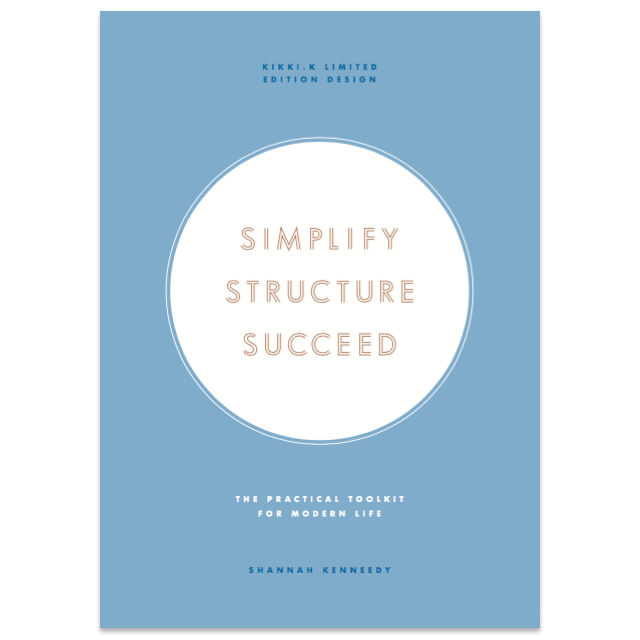 Simplify Structure Succeed looks into practical tools, tips, templates and case studies to allow you to develop your life strategy for optimal living in a modern, fast paced world. Finding balance in your life is such an important part of living happy and healthy.